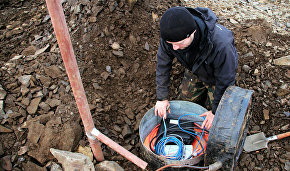 A project to monitor natural hazards is running in the western part of the Russian Arctic. In an interview with arctic.ru, Alexander Danilov, deputy director for research at the Arctic and Antarctic Research Institute (AARI) of the Federal Service for Hydrometeorology and Environmental Monitoring, spoke about the project and how it can help develop the Arctic shelf and improve navigation along the Northern Sea Route. A project to develop natural hazard monitoring systems has launched in the Arctic. What is the essence of the project? For over a year now, the Education and Science Ministry has implemented a wide-ranging project, The Creation of New Methods and Means of Monitoring the Hydrometeorological and Geophysical Situation on the Spitsbergen Archipelago and in the Western Part of the Russian Arctic. Several organizations are involved — our institute as the lead organization, the Arkhangelsk-based Northern Arctic Federal University, Russian State Hydrometeorology University, the Institute of Northern Environmental Studies and the Kola division of the Russian Academy of Sciences' geophysical service. What is the essence of the project? An important Arctic research objective is to study natural risks to human activity in the Arctic, both on land and at sea. These are serious risks. They include complex ice conditions, icebergs, climate change, pollution, seismic risks (they also exist, as earthquakes also occur in the Arctic, in the Arctic Ocean) and melting permafrost. Science studies these processes and develops methods and means to minimize these natural risks and even manage them. This primarily includes the monitoring and observation of hazardous processes, making forecasts and, based on this information, making decisions regarding threats. Far from all risks lend themselves to management, but I will mention risks that can be managed — ice conditions, including icebergs. The project that is carried out by our group is to develop tools to detect and forecast risks and provide the relevant information to users. Icebergs pose a serious threat to fixed-site sea installations — platforms and terminals that are tethered to the seabed. If a vessel can avoid and skirt by an iceberg, it is difficult for a platform to do the same, although such methods exist. The project's priority is to develop methods of detecting natural objects. They must be detected at any time of the year, including during the polar night. This is done with the help of satellite technology. It is difficult to spot icebergs or their fragments from a satellite, so precision-guided satellite technology is developed, making it possible to spot icebergs and their fragments at any time of the year. Once it has been detected, it is necessary to determine whether it will reach a sea platform and whether it poses a threat to the platform. To forecast the movement of an iceberg, it is necessary to forecast atmospheric conditions, using a reliable meteorological model, as well as models describing the movement of ice, icebergs and the waters that carry this iceberg. This is comprehensive technology. We should be able to assess the level of risks to a particular installation and if it is a dangerous iceberg, then ice protection vessels that are on standby near the platforms should advance toward the iceberg and tow it away, divert it from the dangerous course. This is a chain and practically each element in it contains scientifically developed detection and forecasting methods. Taken together, it comprises a unified system that is known as a hardware/software complex. The methods I have enumerated are essentially digital. Relevant data (satellite data, field station observations, etc.) is fed into a computer to detect and forecast risks. So iceberg-related risks are manageable. This complex was tested in the summer of 2014, when Rosneft conducted exploration drilling at the Pobeda field in the Kara Sea. This technology was used on a limited scale and it proved its viability in dealing with such tasks. It is an essential tool in ensuring the safety of marine installations in Arctic seas. Likewise, not only icebergs but also heavy ice near sea platforms can be managed. It is important to understand, assess and forecast a risky situation, when heavy ice fields can approach a platform, and the task of protection vessels and icebreakers is to destroy these fields. Ice risks are a kind of risk that can be controlled. However, there can be different situations. Say, a 1-million-ton iceberg can still be diverted from a dangerous course, but not a 4-million-ton iceberg. I recall a situation during the preparation of a project to develop the Shtokman field (it is a Gazprom project, which is frozen now). In 2003, our expedition spotted an iceberg with an estimated mass of about 4 million tons near Shtokman. Initially, the platform was supposed to be firmly anchored to the seabed, but when it turned out that such an iceberg could appear designers developed a platform/vessel that can be untethered from the seabed and move aside to let an iceberg pass. What about seismic risks? After all, they cannot be prevented. Of course, we cannot control earthquakes and, to all appearances, will never be able to prevent them. However, we can issue a warning about an earthquake, its epicenter and magnitude. Again, it is important to understand how this event can affect marine installations — platforms and underwater pipelines, among others. Massive earthquakes do not occur in the Arctic — around Magnitude 5 at the most. However, these earthquakes can provoke underwater mudflows, landslides, and if a landslide occurs near an underwater pipeline it can cause serious damage. Seismic methods, which are developed by the Institute of Northern Environmental Studies and the Russian Academy of Sciences' geophysical service, make it possible to not only diagnose earthquake foci and force; they can also be used to detect iceberg formation. How are icebergs formed? The glaciated edges of islands and archipelagos — glaciers — slide into the sea, break away and an iceberg is formed, which moves with the wind and currents. Seismic methods help detect the breakaway moment. When an iceberg separates from a glacier it hits the seabed and this generates powerful seismic waves, which also can be diagnosed and analyzed. So, in the future, seismic methods will certainly be useful for developing iceberg-formation monitoring systems. The project includes an important section related to climate. We are interested to know what will happen with the Arctic ice in 50 or 100 years. Such questions are essential, in particular, for those who design vessels and icebreakers for the long term and who build ports. For example, the port of Sabetta is being built in the Gulf of Ob. Yamal liquefied natural gas will be carried from there, so in constructing such port installations and in designing their transport systems, it is important to ensure that they are functional year-round. In fact, we seek to make the Northern Sea Route operational throughout the year along its entire length. Today, only the western section of the route from the Yenisei estuary to Europe operates year-round, but the task is to make its eastern section fully serviceable as well. So many questions arise here regarding the ice situation and conditions to ensure the continuous operation of the transport system. Today, sea cargoes should be delivered at ports of destination with an accuracy of a few hours, so the importance of climate aspects is taken into account. There is a sub-project related to information regarding the future scenarios of climate change in the Arctic — what the ice cover will be like, what the atmosphere will be like — all of this is in demand. Can some forecasts be made now regarding climate change in the Arctic? Will the Northern Sea Route be clear of ice and when? Briefly, until the end of the 21st century, there will be ice in the Arctic Ocean along the Northern Sea Route for over six months a year. However, there are scenarios suggesting that by the end of the century, ice in the Arctic can become annual. This means that in August all ice in the Arctic Ocean can melt but after an ice-free three or four weeks, it will form again, and by October or November, the entire Arctic Ocean will be covered with ice again. If the ice was even, like on a skating rink, there would be fewer problems. Annual ice is approximately 1.2-m thick and vessels have no problem crushing it. However, as the ice fractures and solidifies, ice hummocks are formed. They are 20-30-m thick and, of course, an icebreaker is needed to get across them. Another phenomenon is ice compression. The compression force is about the same in 1.5-m or 2-m thick ice. So naturally, ice navigation will be difficult during the cold season. Overall, however, ice conditions will be easier. Icebreakers will be needed but not on a permanent basis. This will facilitate more intensive traffic along the Northern Sea Route and its broader utilization. These changes are favorable for seafarers. The trend of the past 25 years remains the same. The Arctic is becoming warmer and, so far, there are no serious indications that this trend will reverse. I'm talking about a five-to-10-year, not 1-3-year trend. So navigation will certainly receive a carte blanche in the Arctic. However, other problems will emerge — melting permafrost, the more active erosion of the coast, and so on. As always, all changes have both positive and negative implications. So, our project includes the development of useful tools, in particular related to the activity of the Russian research center on Spitsbergen (Svalbard), where a modern satellite data center will be established, which allows us to have a better view of the Arctic, especially the western Arctic. We are interested in the western Arctic, as this is where important shelf development programs will be carried out in the foreseeable future — in the Kara Sea and the Barents Sea. This is important and this is where the Russian research center can make a significant contribution. With this project, the Education and Science Ministry and its Science and Technology Department have made a contribution to the development of Russian activity on Spitsbergen, as well as in the western part of the Russian Arctic. I believe that it is an important project that combines research and applied components, which makes it stand apart from many other Arctic projects. 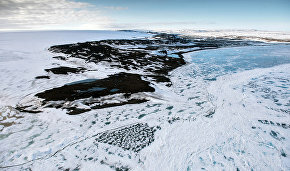 Satellites are used to monitor the situation in the Arctic. What other technical systems are involved in this project? Various sources of space information are used, which is perhaps the primary kind of information in the project. Also, hydrometeorological observations that are conducted at the network of meteorological stations located in the Arctic, are also widely used. Without this information, it is impossible to forecast weather and atmospheric conditions, and without an atmospheric forecast, we are unable to forecast the movement of ice, icebergs and so on. In addition, historical climate change information is used, i.e., the data that we have acquired over decades of Arctic operations. The project also utilizes seismic information, data from seismic stations, both Russian and other stations located in the Arctic. Space information is especially important in detecting and forecasting dangerous meteorological phenomena that are difficult and even impossible to detect from observations made from the sparse network of polar stations. This refers in particular to compact and powerful polar cyclones with a strong wind and zones with heavy precipitation and other phenomena. State Hydrometeorology University specialists are developing methods of detecting these phenomena based on satellite data and forecasting. Research is conducted in the western Arctic. Are there plans to expand the geographical scope of research? Absolutely. 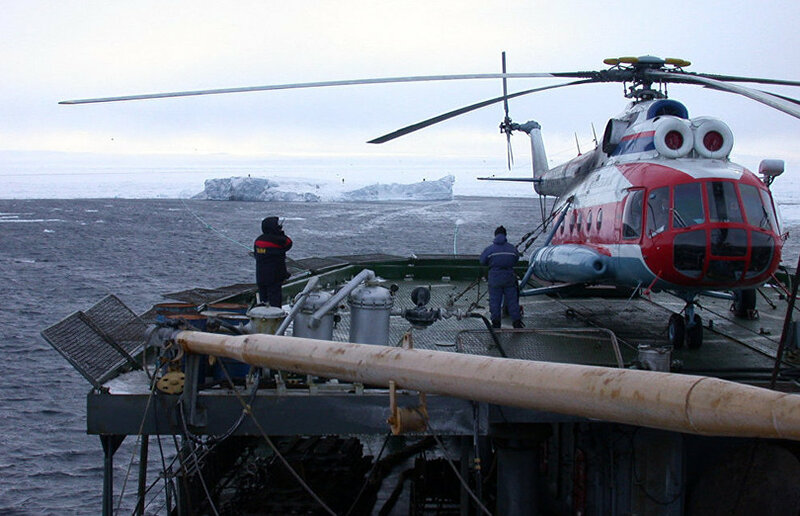 The development of the Russian shelf has an eastern vector — the Kara Sea, Laptev Sea, East Siberian Sea and Chukchi Sea — and is shifting to higher latitudes. If you look at the Russian Arctic in terms of the so-called license sectors with potential oil and natural gas deposits, you will see that essentially they encompass all our Arctic seas. These sectors belong to two major companies — Rosneft and Gazprom. They have exploration drilling plans, and in the course of drilling operations it will become clear how promising each field is and what its estimated reserves are. And they can decide whether to invest in them. So we are talking about future activity in the Russian Arctic over the next 30-40 or even 50 years. The Arctic is a vulnerable region, cold and harsh, so, of course, we should do everything that we can to ensure the safety of the environment, on the one hand, and to protect oil and gas production activity from natural risks, on the other. Let's not forget that the Russian Emergency Situations and Civil Defense Ministry is expanding its activity in the Arctic, setting up emergency and rescue centers, which should be fully operational at any time of the day or year. Shipping along the Northern Sea Route and ensuring the country's defense capability — this is weather- and climate-dependent activity that will benefit from the project's implementation.